Governor Rick Snyder and county road commissions across the state are asking Michigan residents to take some time Saturday giving their roadside mailboxes a shake. 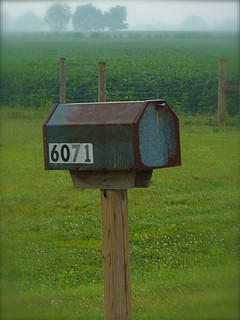 "Shake Your Mailbox Day" is meant to help make sure mailboxes and their supports are ready for the harsh winter months. Washtenaw County Road Commission Director of Operations Jim Harmon says it's a seasonal burden for property owners with mailboxes by the side of the road. "Over time the mailboxes deteriorate, the posts are damaged, the wood, if they're mounted on a wood post, begins to rot and deteriorate," Harmon says. "It's just good practice annually as you would go and check your furnace or check the window seals in your home or anything preparing for winter to go out and check your mailbox and make sure it's in good working order." Harmon says when snow plows come through, they throw snow with a significant amount of force. A well-maintained mailbox can withstand that force. Both the road commission and the U.S. Postal Service have regulations governing the proper installation and type of mailboxes.